Each tutu is handmade (in Hertford) to order and is embellished with gorgeous attention to detail, pretty bows, ribbons and buttons a plenty! 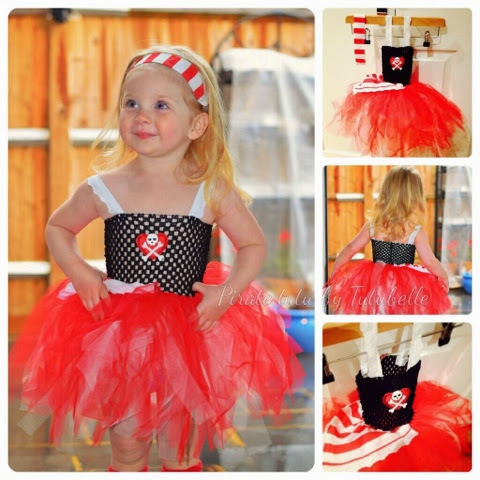 Some of my favourite Tutubelle creations include this wonderful Pirate tutu dress (as seen on my little Meg!) 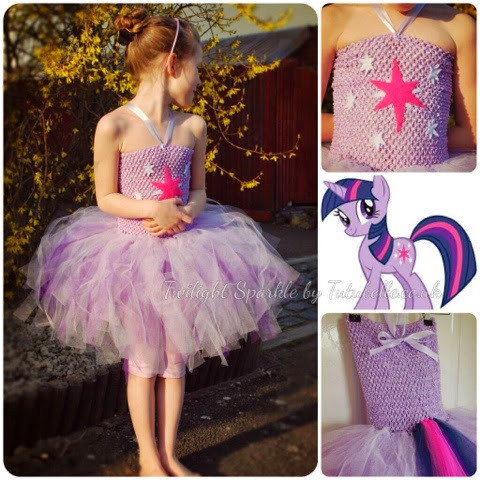 the amazing Frozen tutu dress and My Little Pony! 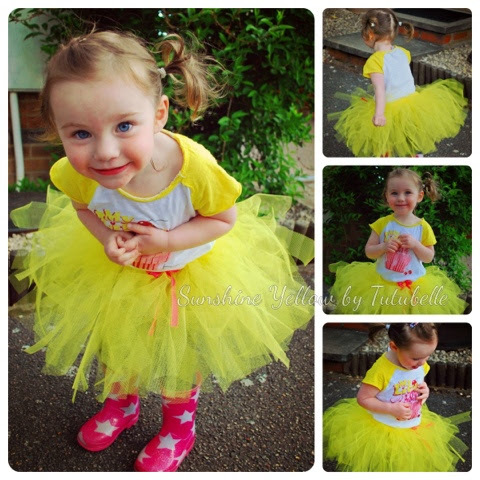 Tutubelle have also created wonderful superoine costumes, hair clips and even teddy bear tutus! This tutu is a recommended fit for a 1-3 year old. It’s a super bright sunshine yellow, with a cute pink bow and yellow loveheart button. Alice, the model reckons it goes best with wellies! Please include a way of contacting you, such as twitter id or email address. 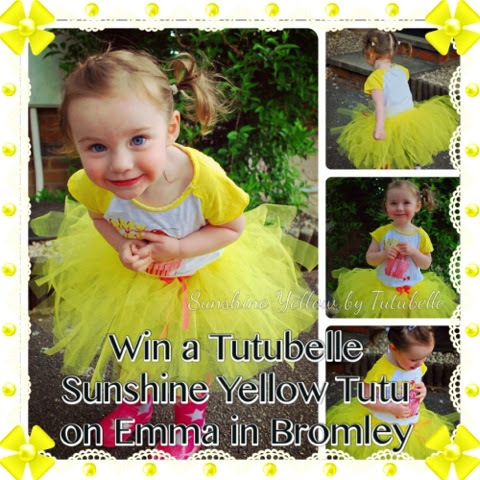 One winner will be selected using random.org to win a Tutubelle Sunshine Yellow Tutu age 1-3 please reply with your details with 7days of winning or another winner will be selected. Please leave a separate comment below for each of your bonus entries so I can count them (max 1 for each method). Tutubelle are responsible for providing the prize and will send the prize to the winner directly. Keep an eye out for the next blog birthday giveaway! Love the princess pink one! The one you are featuring the Sunshine Yellow. I think that the batman and robin ones are brilliant!!!! They're all lovely but I especially like the Batgirl one! 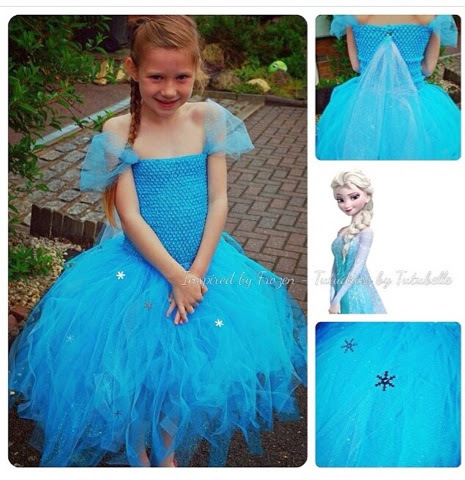 Followed @beachpebble and tweeted about @tutubelle competition and followed them! the spiderman tutu is fab!! The batman tutut is fab! Silent Sunday - Feeling Lucky? Does money make you happy? Whats a Sham and Why Do We Put its Poo On Our Hair? Numberjacks shape japer irresponsible tv! Are Healthy School Dinner Menus Packed Full of Carcinogens?